Ages ago I introduced little one to meatloaf. She referred to it as a burger and a sausage which is fairly accurate. Anyway I totally forgot to post the recipe as I was caught up in my mummybakesdairyfree does the Great British Bake Off Challenge. Many recipes use egg as a binding agent but obviously I have left it out. I didn’t replace it and I don’t think it misses it. I did use a combination of pork and beef once which makes it extra tasty I think. It was also a great opportunity to add in some hidden veggies. I used grated carrot and courgette but you could really experiment with what you like, just make sure you don’t overload it or it’ll dry out and lose its shape. Other recipes also include breadcrumbs, however I don’t use them and it worked perfectly. As with most of my recipes, I didn’t use salt in the seasoning so I didn’t feel too guilty using prosciutto ham to wrap the meatloaf. I always find it tastes even better the next day. I slice the leftovers and pop it into an ovenproof dish, cover it with some of the tomato sauce and bake for 35-45 minutes until piping hot. It definitely a winner! 1. Preheat the oven to 190c and boil a full kettle of water. 2. In a bowl, combined all of the ingredients (except the prosciutto ham) together. I use my hands to make the ingredients come together as a ball. 3. Line with prosciutto ham, the bottom and sides of a greased loaf tin. Leave a slice of ham for later. 4. Press the meat loaf mix into the lined tin, making sure it’s all packed in tightly. Use the reserved piece of ham to cover the top of the meat loaf. 5. Place the meatloaf into a roasting tin. Fill up the roasting tin with the boiled kettle water, until it reaches half way up the side of the meatloaf tin. 6. Carefully place into the oven and cook for an hour. If the top starts to brown too quickly then you can cover with foil until the meatloaf is cooked through. 7. Once cooked, remove from the oven and safely drain away any fat. Leave the meatloaf to rest in the tin for ten minutes before slicing and serving. 8. Serve with a tomato sauce, mashed potatoes and green veg! YUM! 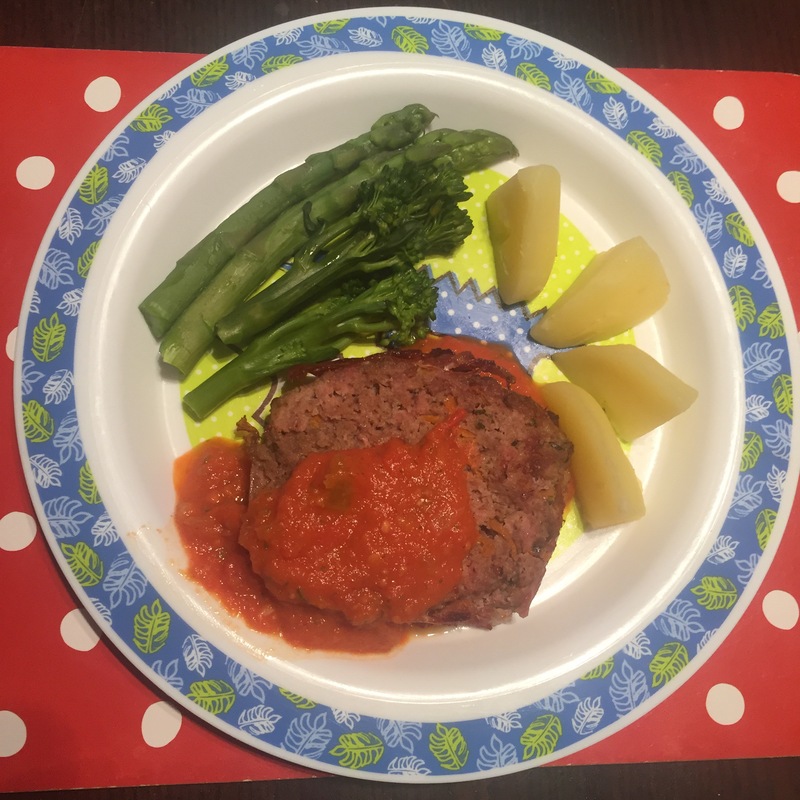 I love meatloaf its so easy to do on a week night and the girls love it! I like the idea of hiding veggies in it! You’re so right! It’s something we always used to eat pre baby. Since making it again, I can’t remember why I stopped making it. Will definitely be having it more! Oh my goodness, it looks gorgeous! 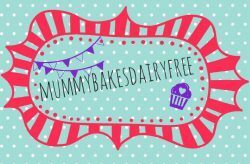 A few bloggers and I have set ourselves a #FreeFromChristmas challenge where we share recipes that are free from the top 14 allergens. Your recipe will fit perfectly in my round up 🙂 I’ll be posting it in the next week or so x Thanks for joining in with #FreeFromFridays. Thank you Mel!! That would be brilliant!! You’re welcome. It’s super tasty as leftovers too! Such a great idea for getting kids to eat more veggies! Thank you. It’s so versatile too. You could add lots of different veg! 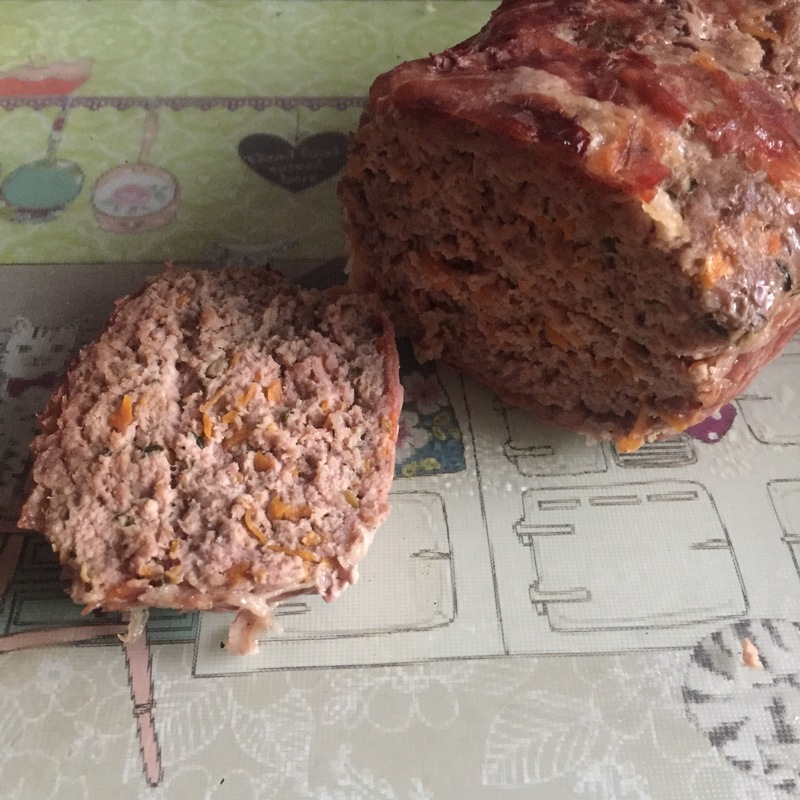 I have never made meat loaf and I’m not sure why really this looks yummy, but you can’t go wrong when you are wrapping something in prosciutto ham can you !! !